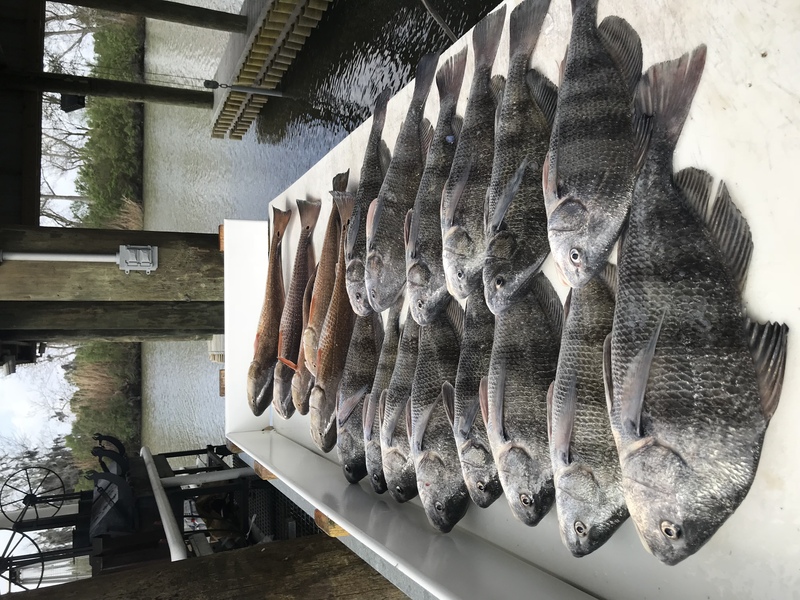 Weekly & Monthly Fishing reports from Delacroix Louisiana Fishing Charter. 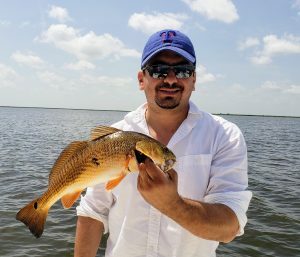 Book Your July Fishing Trip Now! If all good things must come to an end then we are coming to the end of an amazing run of fishing. 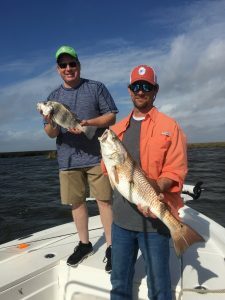 What we saw this summer was some of the best fishing ever because of an incredible redfish spawn last year. 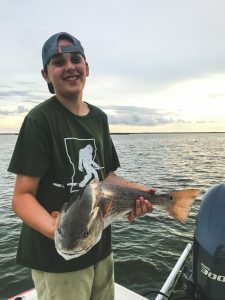 16-18 redfish were EVERYWHERE in the marsh. There was one day recently where we fished with nothing but bare hooks. We caught our limit in 20 minutes and then played catch and release until we made it to 75 fish. After that, our clients who came to town for a New Orleans fishing charter were ready to head back to the lodge. That bite unfortunately seems to be coming to an end. There’s nothing to cry about however. 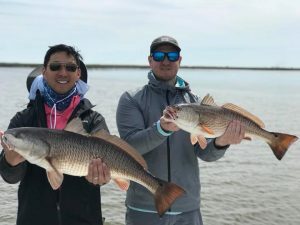 Another New Orleans fishing pattern is picking up. We have made our annual move further South. The Mississippi River Levels are low and the recent Southerly winds have pushed some beautiful green water into the outer bays of the marsh. It is here that we are finding huge schools of menhaden and hungry redfish taking advantage of them. The best way for a redfish to prey on a school of baitfish is to team up with other redfish. So we are starting to schools of fish form. The next few weeks should give those redfish time to find each other and work on the menhaden. And the great thing about these fish is they are an older age class than the small fish that invaded the marsh earlier in the summer. 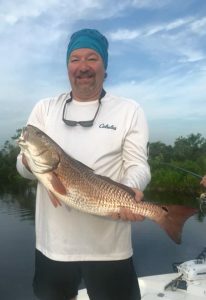 We are catching redfish 27-30 inches long and bigger! We have opening for the rest of July and into August. Now is the time to book a trip for your kids before they get back to school. They will never forget a trip catching this big reds we are on right now. 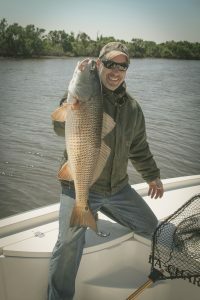 Book your Redfish Guide Louisiana</a> trip today! As of our last report, we didn’t think the fishing could get any better. And then it did! 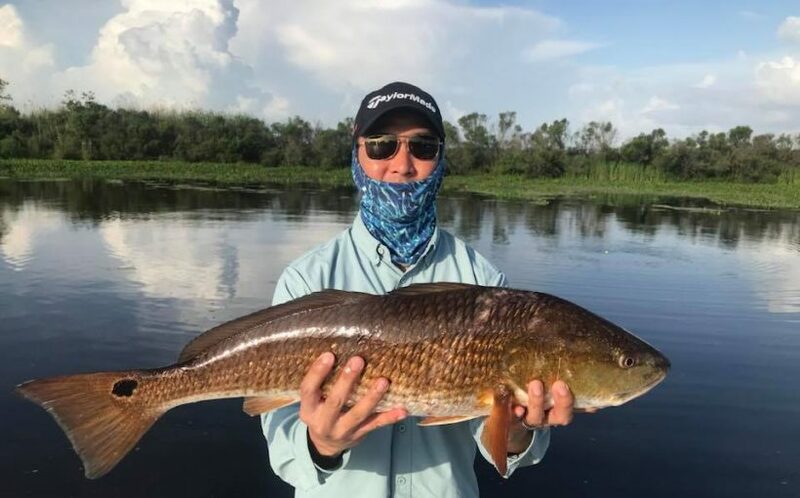 The redfish are totally on fire. One day this week we ran a three boat charter. All three boats had 20 in the box by 7am. On my boat we caught 50 redfish in an hour! That’s what Louisiana charter fishing is all about. There are a few keys to the incredible fishing right now. One is the abundance of bait. Small crabs, shad, and mullet are everywhere in the marsh. Another thing that is helping the bite is the submerged aquatic grass. The young crabs and baitfish hide out in these grass beds. The redfish use the grass beds to target bait and we are keying on grass beds to find the fish. Lastly, the water levels dropped recently when a westerly wind blew pretty hard. When the water dropped, the fish had to leave areas that became to shallow. This concentrated the fish we are catching. 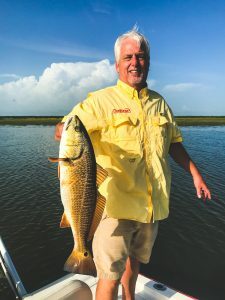 One of the great things about fishing with a redfish guide Louisiana style is that we know how to navigate the marsh when the water levels drop. You certainly have to be careful about running your boat into shallow places and getting stuck. 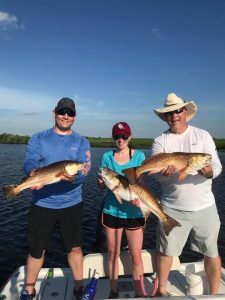 Luckily, the guides at Louisiana Fishing Charters have plenty of experience and we can get our clients on the fish without any boating issues. We hook our clients up with popping corks and live shrimp and have them throw close to the grass beds. 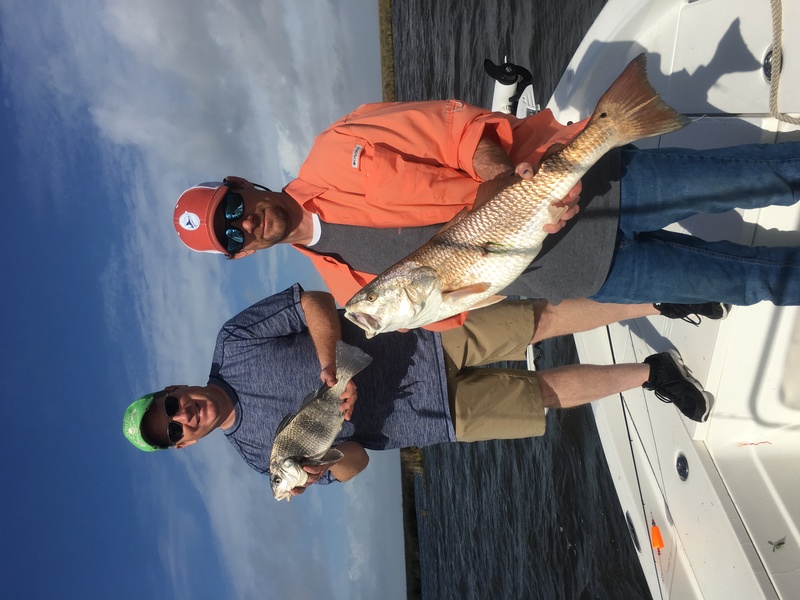 Our New Orleans fishing charter trips get pretty crazy when everyone on the boat is hooked up fighting redfish, but that’s what we live for. Our lodge is nice and cool this summer and ready to host your group. 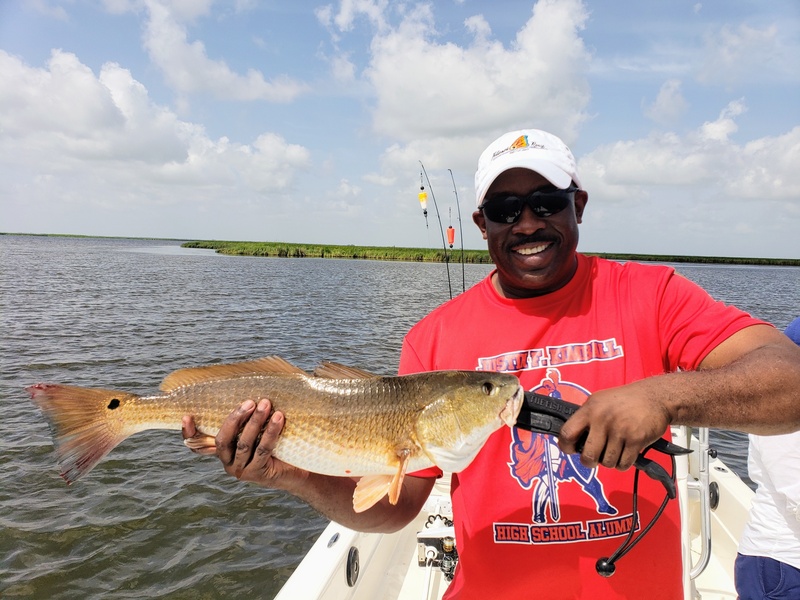 The fishing is incredible and our chef is ready to cook up some New Orleans style cuisine. Come see what summer time in Delacroix is all about. Book Your June Fishing Trip Now! 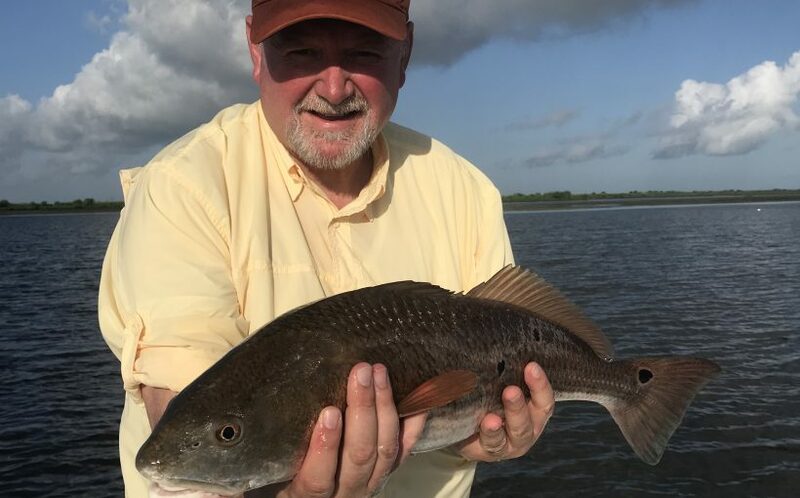 “I’ve never seen this many redfish in the marsh.” Those words right there should be the quote that etches the summer of 2018 into Louisiana fishing infamy. We’ve heard so many people say they have never seen so many redfish in the marsh so far this summer. 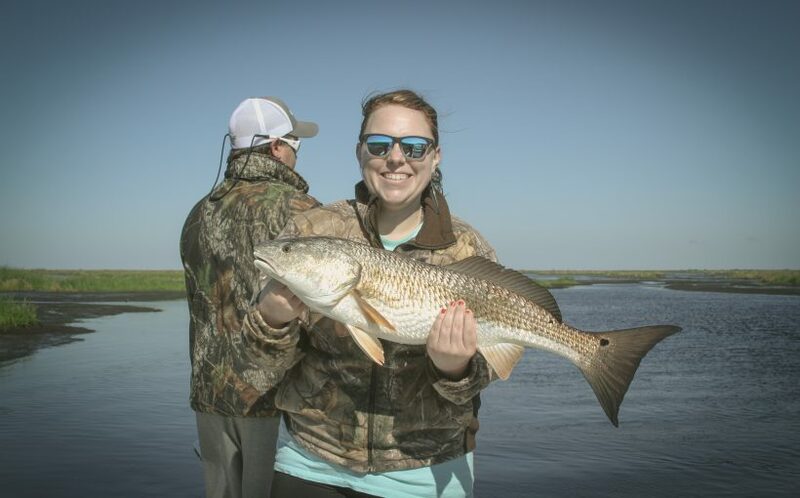 We know that last year was a great spawn for the redfish. 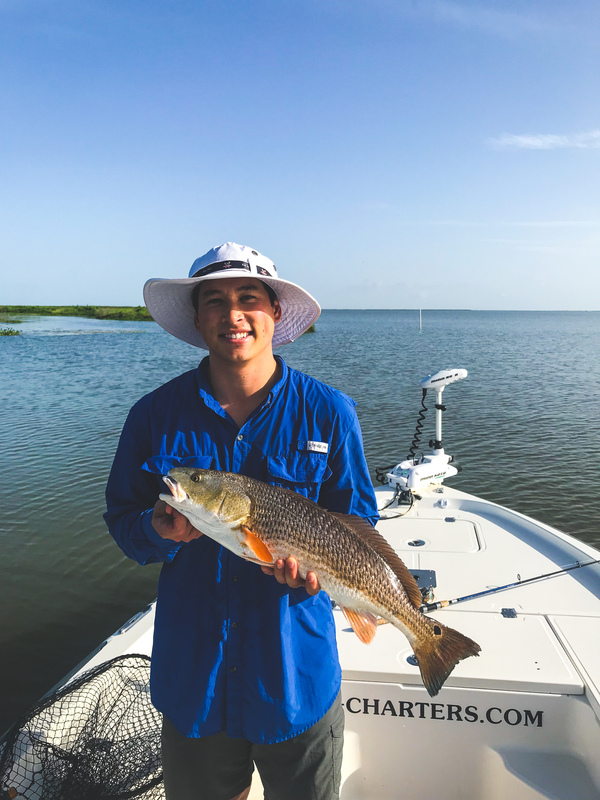 We caught hundreds and hundreds of small redfish throughout the fall. Now those small redfish have grown up a bit and they are lighting up the marsh this summer. 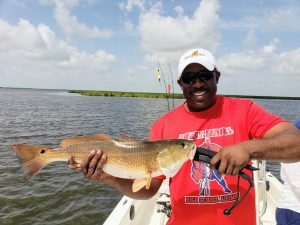 If you are considering New Orleans red fishing trip, you have to come soon. It’s not often that we get super excited as charter captains. We are fortunate and blessed to fish much more than the average angler so we get to see a lot of good fishing days. But it really has been remarkable in Delacroix lately. The sheer amount of fish is staggering. Early limits and then catch and release for fun. This a summer that a redfish guide Louisiana will look back on and remember. We are focusing on grass beds. The west wind last week blew hard and dropped the water levels out in the duck ponds. That stacked the fish up where there’s 2ft of water or more. We find a good looking grass edge and throw popping corks right outside the edge. We are using live shrimp with light jigheads. Typically where there is grass and clean water, there is redfish. You just have to be careful about throwing the bait in the grass. Try to stay right outside of it. If you plan on coming to Delacroix soon just be aware that the water is still low as of now. We have lodging available at the Pelican Roost Lodge and our Fishing Cabins. If you want to come on fishing trips New Orleans style give us call. We will be glad to take you. 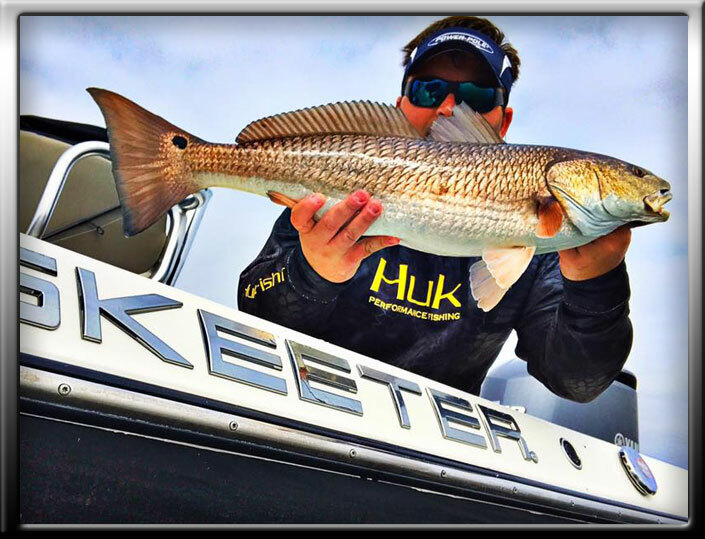 Book Your April Fishing Trip Now! The Mississippi River hit peak levels last month resulting in a rise of freshwater in the Delacroix marshes lately. Whenever we see a high river, it certainly shakes things up and makes us have to chase the fish as they react to the river water. Trout and redfish certainly react differently. Trout are not afraid of freshwater by any means but the river water tends to be dirty which trout do not like. So trout tend to avoid areas with higher river water this time of year. Redfish on the other hand are opportunists. 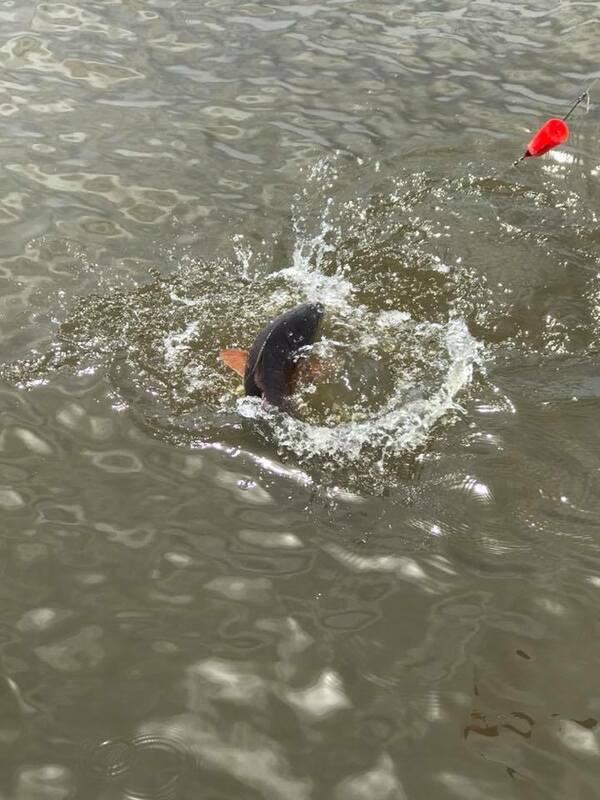 What we have seen lately is that the redfish are staging up in places where river water is dumping into the marsh. This is because of the high concentration of shad and mullet in the river water. The weather has been very mild as of late and our customers are loving it. While many other places in the country as still cold and many lakes are still frozen, Louisiana is well on its way to summer time. Most days lately have been a high of 75 degrees. While there has been a lot of windy days, the fish don’t seem to mind. We have caught fish in 15-20 mph winds without any problem. It’s clear to say that the New Orleans red fishing experience is in full force right now. The rest of this month should see a lot of changes taking place. Fish will begin concentrating on the outer edges of the marsh. Trout are heading out to spawn and redfish will begin schooling up. Our guides have experienced this seasonal pattern many years in a row and they know exactly what to do this time of year. 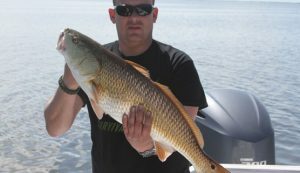 If charter fishing New Orleans is something you are considering then April is the month to book. Don’t let another day pass without booking your Louisiana charter fishing trip with us. We have clean boats ready to go with top quality equipment and experienced guides. 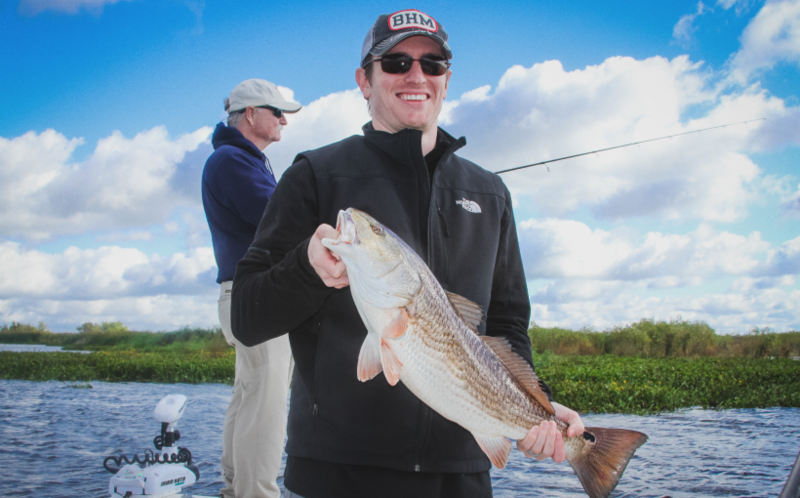 Book Your March Fishing Trip Now! This is the time of year that separates the professional guides from the average angler. Sure, you can luck into a good fish pattern every few days in February and March but for the most part, the fish are very scattered. 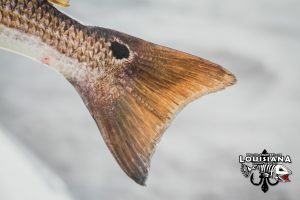 What’s happening is the redfish and trout’s annual transition of their winter patterns into their summer patterns. These period of the year has fish that are hard to predict and can change their location on a daily basis. Couple that with the occasional cold front and add in a high Mississippi River and you have a boat load of adversity facing you before your clients even step on your boat. Luckily, our professional guides here at LFC have played this game before. We are not out just to catch fish like the average angler- we have to find fish for our clients on a daily basis because our fishing trips New Orleans style happen everyday. Truth be told, there is no silver bullet when conditions get tough and fish are scattered. The best thing we can do is dip into years of experience and rely on each other. As guides we ofter work together. We spread out and relay information on what gets the fish biting. It’s just what we have to do to provide our clients with the New Orleans fishing experience they came looking for. One of our guides, Capt. 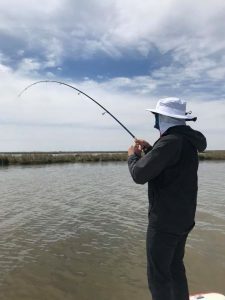 Corey Gradwohl has been getting out of the stiff winds lately but ducking off in canals and fishing grass lines along the canal banks. 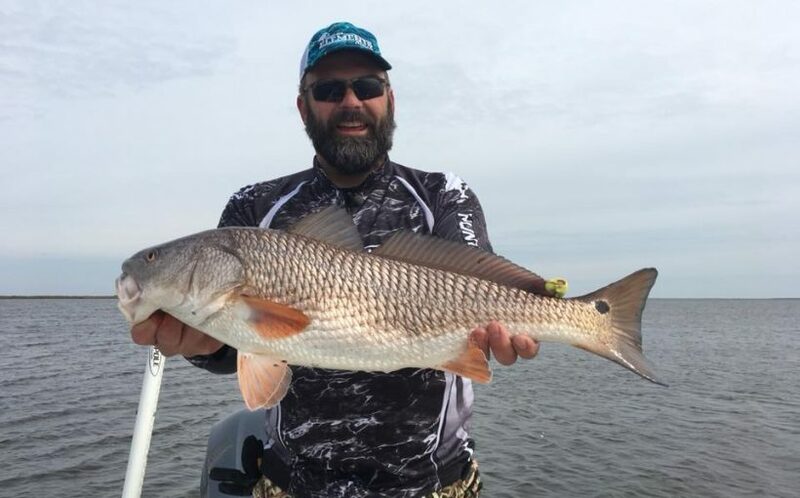 This pattern produces a few redfish each stop but he doesn’t stick around very long. He also looks for clean water which is a bit hard to find right now due to the very high Mississippi River levels. When the river gets this high, it dirties up the water in the marsh and makes fish spread out even more. Don’t let any of that stop you from booking a trip this month. We are professionals and we will put you on fish. 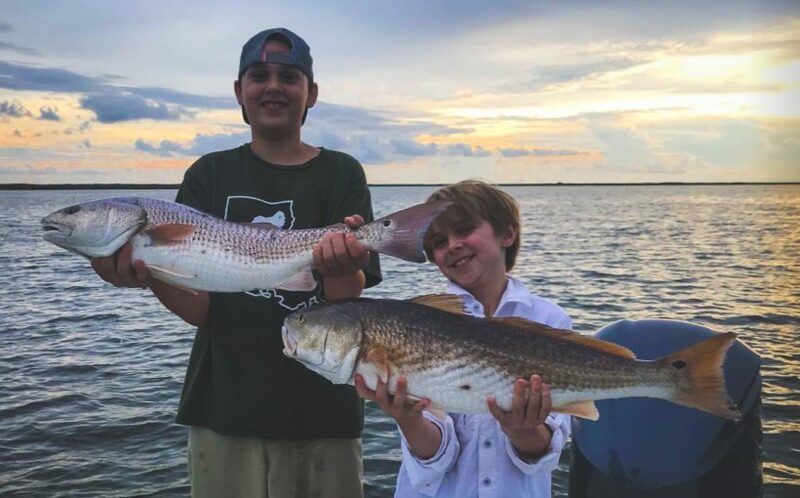 It might take a little longer, but we do this every day and redfish charters Louisiana fishing is our specialty. 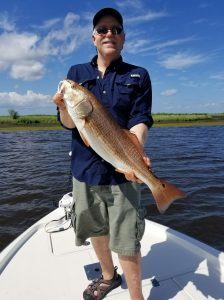 Besides, the weather is beautiful in Louisiana during the spring and what’s wrong with a little extra time out on the water? Spring has arrived, let's catch some fish! 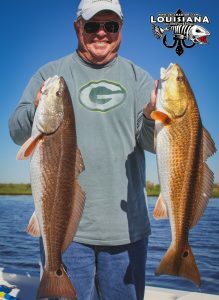 The winter is over here at Louisiana Fishing Charters and Spring has arrived. 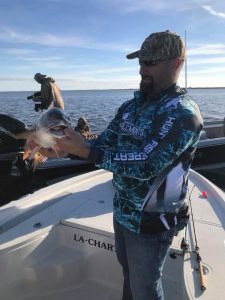 The trees are turning green again and the fish have heated up their transition into the Spring patterns at this Louisiana charter fishing service. 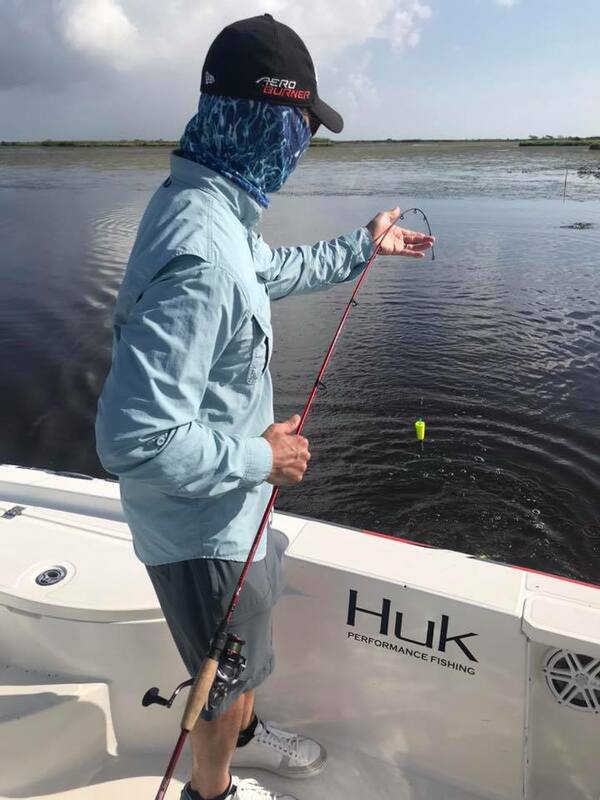 Our clients are having a blast catching fish in super nice weather. In the morning, temps are in the 60’s and then they heat up to the 70’s by mid-day. We are fishing the outer edges of the marsh for redfish. 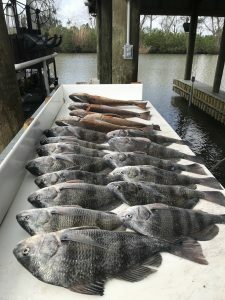 We are also experiencing an awesome run of black drum. We are fishing current lines away from the shore line in 4-5 feet of water. This is the same pattern you would normally fish for speckeld trout. We are using corks with 2.5 ft leaders and market shrimp. The black drum is a cool species and tastes just as good as his cousin the redfish. Some folks will say that black drum are harder to clean but when you fish with LFC we do all the cleaning for you! The black drum also fights just as hard if not harder than the redfish and you can cook them any way that you would normally cook a redfish. February and March can be some of the toughest times to fish in Delacroix because the fish are constantly on the move as they transition to new areas and patterns. 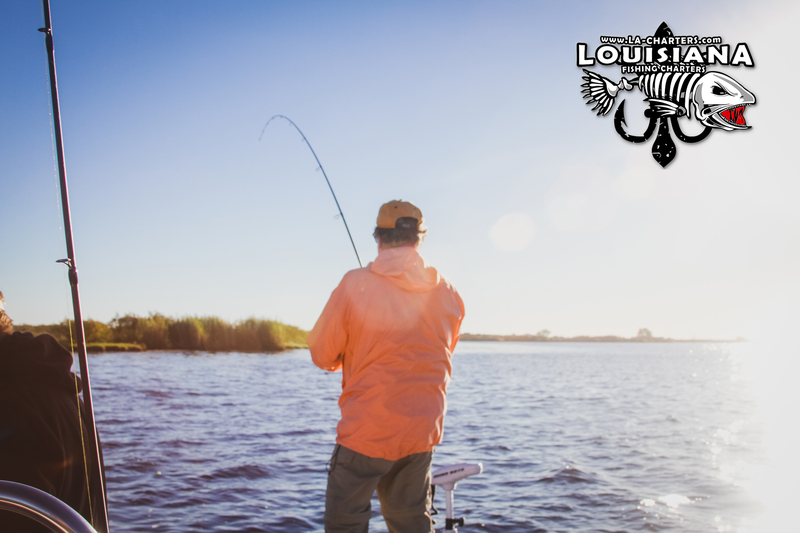 We’d definitely recommend fishing with a Louisiana fishing guide to see how we handle the adversity this time of year. 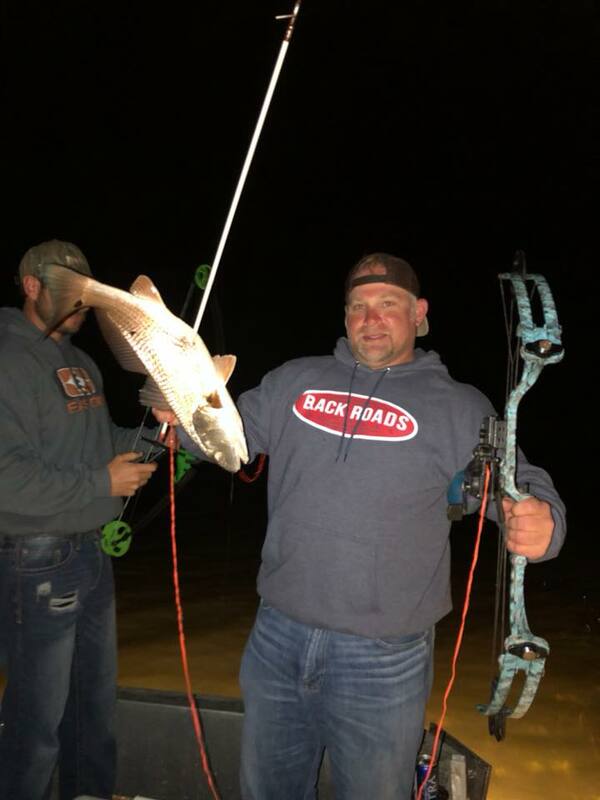 We are also having a blast with our bowfishing charters. This is a cool new redfish guide Louisiana service that we are offering. It’s a big challenge and a great opportunity to experience the nightlife here in Delacroix. Also, crawfish are back in season and if you stay with us we can arrange a crawfish boil if you like. We have a full service lodge or smaller cabins available for our charter guests. 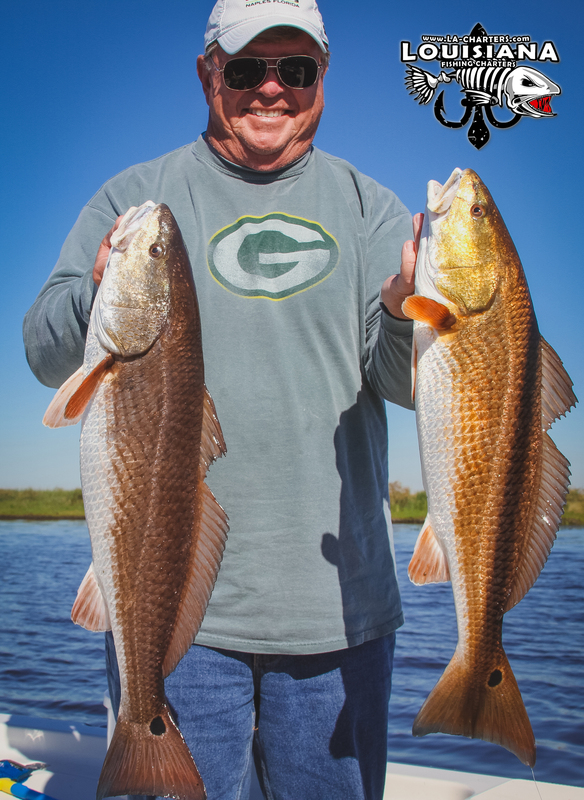 Mossy Oak Media and Louisiana Fishing Charters! Louisiana Fishing Charters recently hosted our friends from Mossy Oak on a 2 day blast and cast adventure. 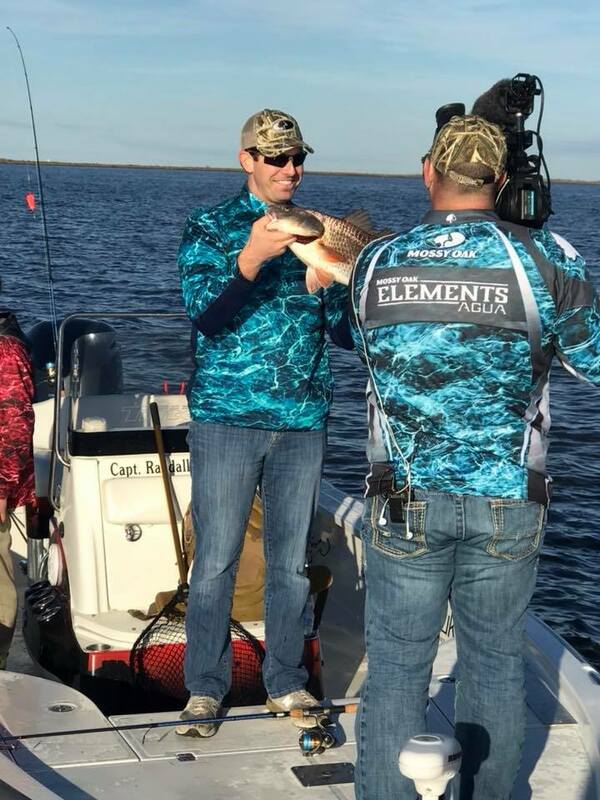 I have fished charters with Mossy Oak’s VP of Media Productions, Kevin Tate in the past. This time though, Kevin came down to Delacroix to get some work done for Mossy Oak. Mossy Oak is releasing their new camo pattern “Elements” and Kevin wanted LFC to help them get some photos and videos of Elements. This awesome new release is a family of patterns utilizing the three core elements of the natural world - earth, water and wind - at their most basic levels. Kevin brought down their Elements pattern “AGUA” as it is designed for spending time on the water. The goal was to collect photos and video that they could use on their website, social media, and also to film an episode for their new show Mossy Oak’s Country Roots that will air later this year. We had a blast and although the ducks were reluctant to cooperate, the fish showed up big. “I didn’t know a better place on earth than with Randall Shaw to get the content we needed. He’s a guy who will put you on fish for every conceivable minute he can. We fished two days and caught a bunch of fish. Our rods were bent the whole time” Kevin Tate said of his trip with LFC. They key to out success on this trip was paying attention to the water levels. It’s been a pretty cold winter so far with a good amount of cold fronts blowing through. That has dropped the water levels and we took the Mossy Oak crew to catch fish in the bigger lakes. The awesome thing was the fish kept getting bigger and bigger! We are looking forward to helping Mossy Oak promote the new Elements pattern. It will be available printed on Huk breathable fishing shirts coming soon. 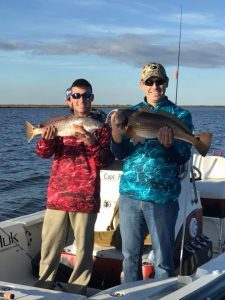 Winter Can't Stop Louisiana Fishing Action! What a winter it has been in Delacroix! We recently saw water temps drop down to 33 degrees and air temps got to 16 degrees. That’s been unheard of in our part of the country for a long time. There were a few days we had to cancel due to this weather but whenever possible we took our clients out. We don’t cancel unless we really have to and if our clients are brave enough to fight the cold, we are going to work our butts off to put them on fish. We know they came down to Delacroix for New Orleans red fishing and we will go as long as conditions are safe. Luckily we have a few tricks up our sleeve when the temps drop this low. We know that redfish like to gather in deep holes to find warmer temps near the bottom. They hunker down in the mud on the bottom. We know this because we catch redfish with leaches on their bellies from sitting on the bottom. That’s not something you see everyday in NOLA fishing! Another thing that helped the fishing during these cold spells was the drop in water levels. 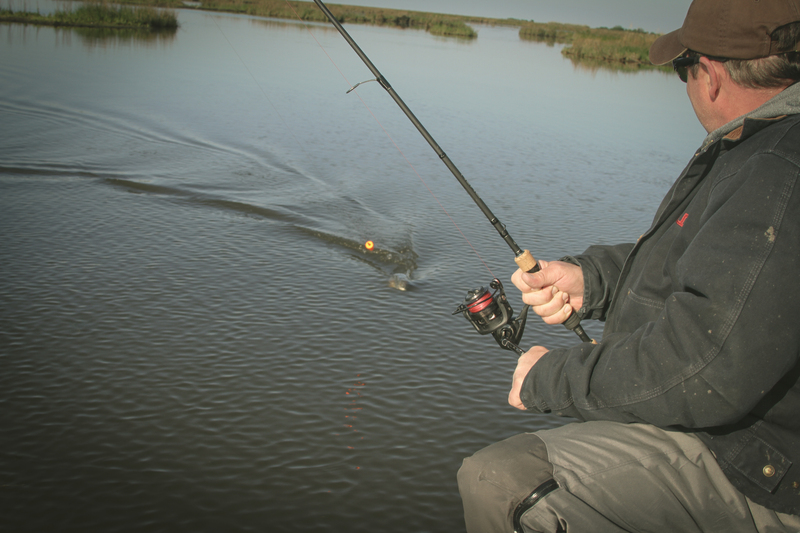 At normal and high water levels, redfish can spread out all over the marsh. But when the water empties out of the marsh the fish have to go where there is water. With water levels close to three feet below normal level, the only places that held water were the bays and bayous. 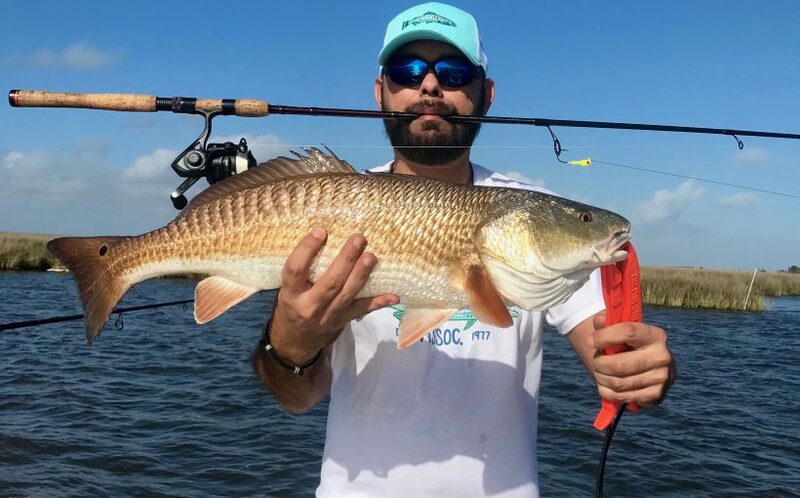 This made targeting redfish easier than normal, and we stuck it to them! 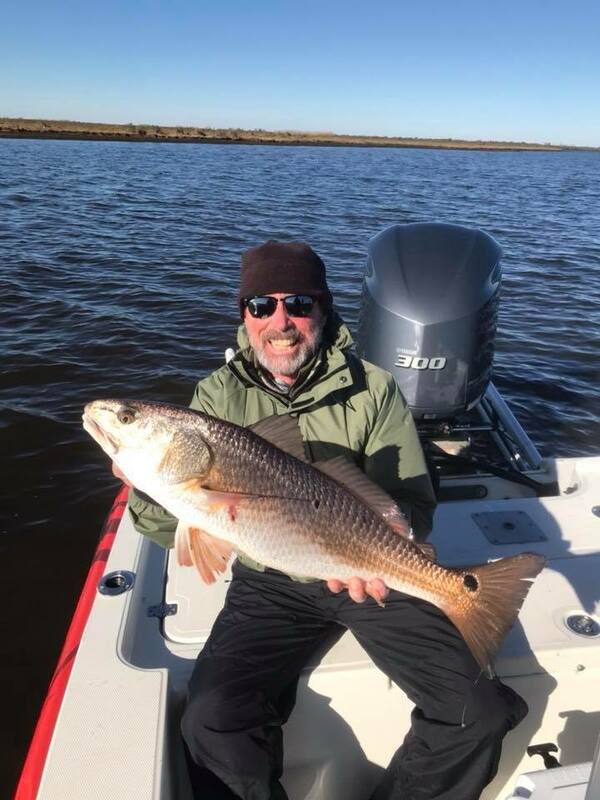 As a charter fishing New Orleans operation, we are very lucky to have mild winters. Even when we do have these cold snaps they don’t last long. As of right now the temps have gotten back into the 50’s and 60’s and the fishing is absolutely on fire. 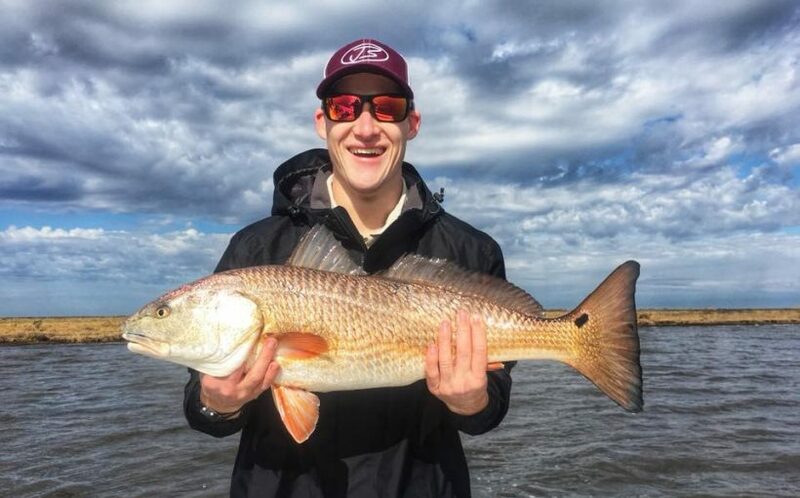 The water still has not returned to a normal level so there are big schools of redfish in all the majors bays and lakes in Delacroix. 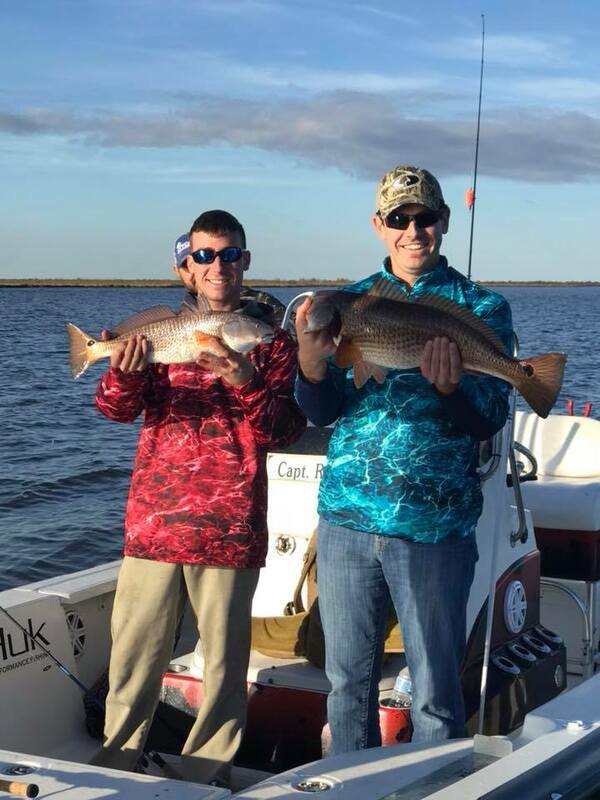 Exciting Fall Fishing in Louisiana! 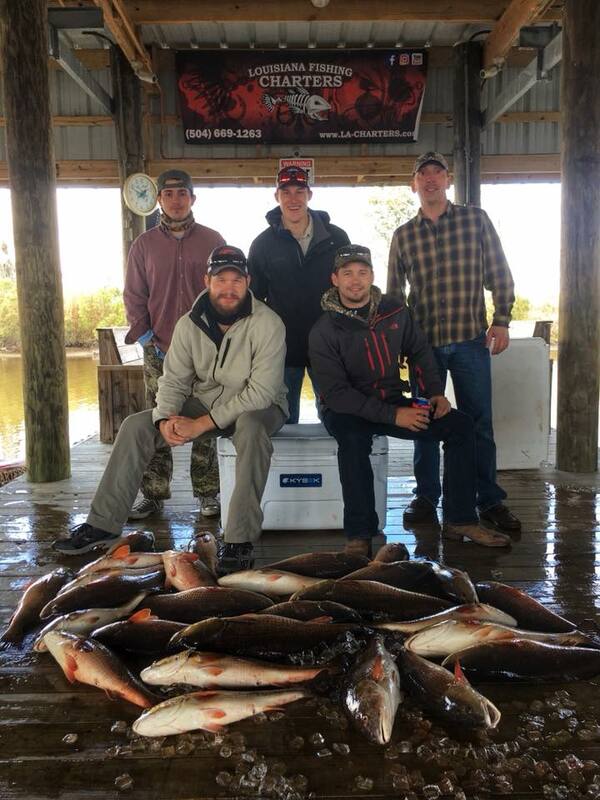 Louisiana fishing is at its finest during the fall. Ok maybe the Spring. Or the summer. Well our winters are pretty good too. But certainly the fall is one of our favorites. We finally start getting a few cool fronts in late October. 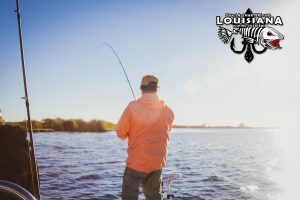 With comfortable temperatures and hungry fish feeding up for the winter, it’s easy to fall in love with fall fishing in Louisiana. 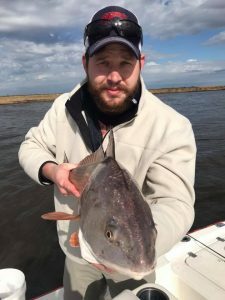 Louisiana charter fishing guides love the months of October, November, and December because schools of fish move into the interior marshes to feed on shrimp that have travelled in from the Gulf of Mexico. Redfish will form big schools that can often result in catching a fish on every cast. 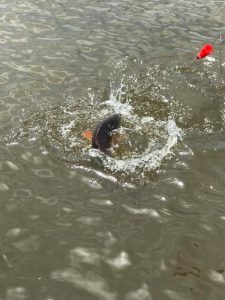 Trout form even bigger schools and move into the interior marshes chasing shrimp. Duck hunters are in their glory as they can shoot their game in the morning and catch their fish in the afternoon. At LFC this month we will be focusing on finding bayous with 5 foot of water or more with a shallow shelf that comes up to about 2 feet. A few days after a cold front you can find trout move up on these shallow flats off the bayous. The shallow water lets them get closer to the sunlight. We also like to look for flocks of seagulls feeding on shrimp. Our clients who come down on a New Orleans fishing charter love the non-stop action when we get on a flock of birds. The name of the game right now is popping corks and live shrimp. Plastics work well too but we love to give our clients the absolute BEST chance at success so we always bring live shrimp. There will certainly be days where the plastic will outmatch the shrimp though. Don’t be afraid to try both. 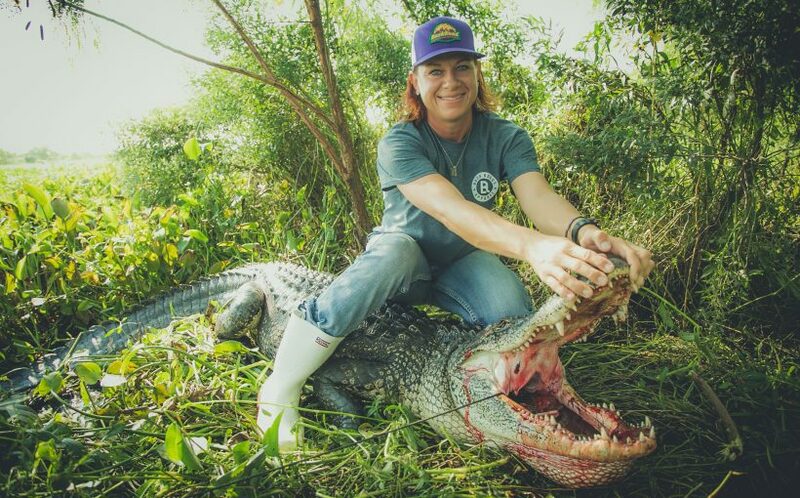 Exciting Alligator Hunts in Louisiana! The bounty of the marshes that surround Delacroix, LA is seemingly endless. Every single day we see fish, shrimp, and crabs hauled from the waters that flow through Eastern St. Bernard Parish. In the fall, ducks migrate to our wetlands and eager duck hunters get after it to fill their freezers. 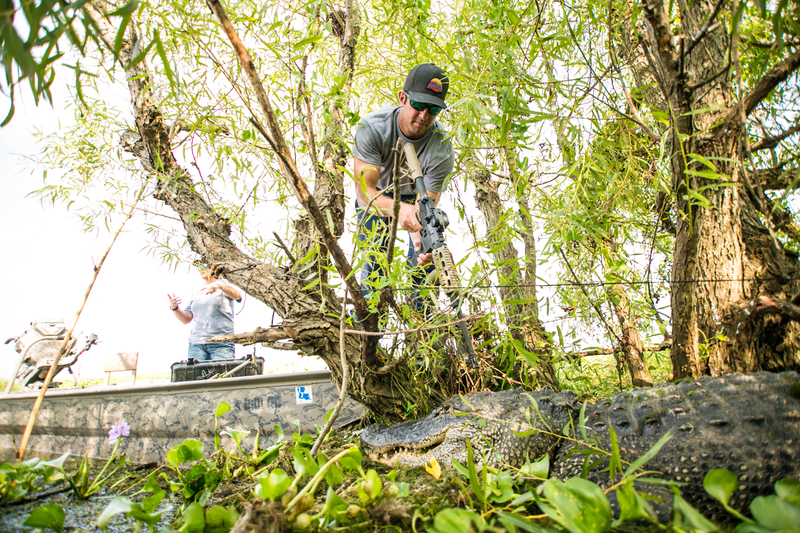 Recently, at LFC we’ve had yet another way to live off the land….Louisiana alligator hunts. 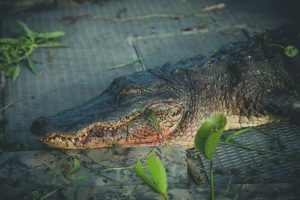 That’s right, we’ve taken advantage of Louisiana’s alligator hunting season and we are now putting our clients on one of the most exciting hunts they could imagine. September is such a fun time to do this type of hunting. The marsh is lush and looks like a jungle and we use shallow water boats made by Gator Tail Outboards to access muddy areas where the big gators live. Just the boat ride alone has had our customers in awe. We are off to a good start with two 11 footers, a 10 footer, and an 8 footer being taken. 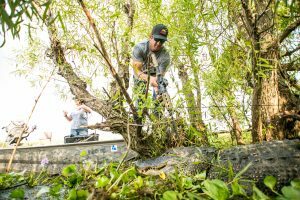 The recent cold front have set the gators back a bit, but as things warm up they will be biting strong again. Our customers have enjoyed pulling up to the alligator line to see what they have caught. It’s always a mystery until you get the first sight of that angry swamp lizard. 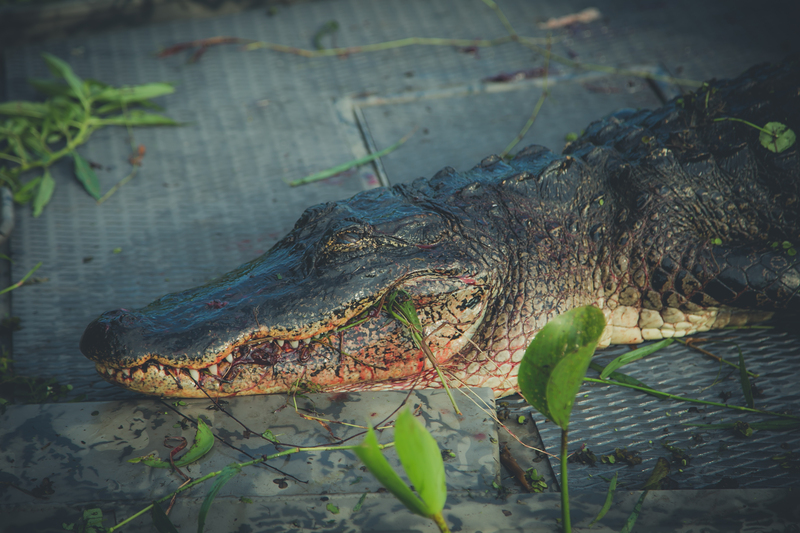 Our guides help our clients through the initial fight with the gator and when the shot opportunity presents itself, it’s lights out for ole gatorsaurus rex! If you’ve seen this type of hunting on TV and always wanted to try it, get in touch with Louisiana Fishing Charters. We offer luxury accomodations at our Pelican Roost Resort as well as guided fishing trips and duck hunting. 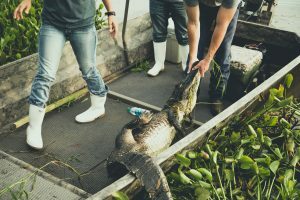 We can help you put together the Louisiana alligator hutning trip of a lifetime whether you are visiting New Orleans or want to come stay with us.